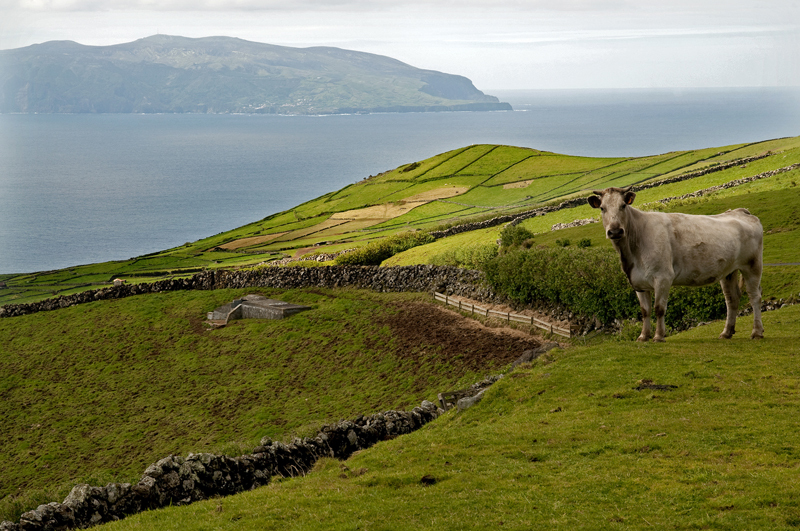 The landscape of this island is characterised by the dark stone walls that separate the land. 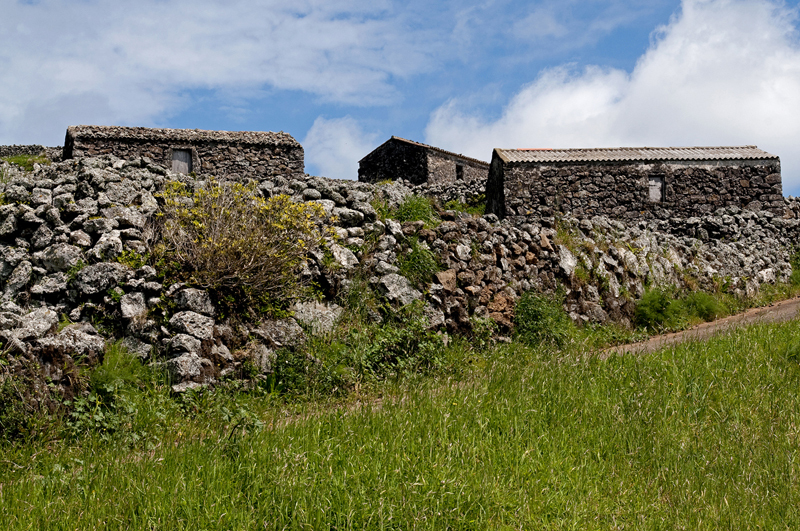 Numerous barns with lava stone walls, where agricultural tools and fodder are stored, also increase the dark extension that probably originated the designation of “Black Island.” Forests are unusual on this island, even though there are some cedar and juniper specimens. In the fields, the green of pastures blends with the shades of cereal plantations. 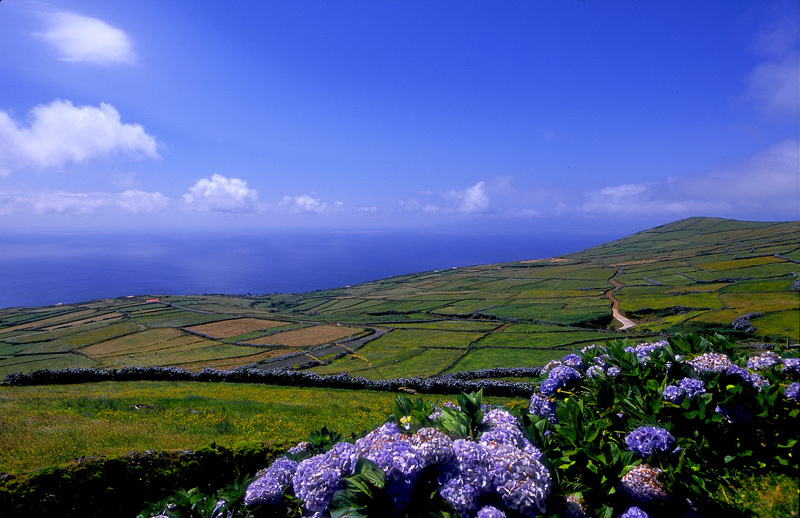 The smallest island of the Azores Archipelago is 6.3 km long and has 4 km at its maximum width. Its oval surface covers an area of just 17.12 km2 and is home for 488 inhabitants (census 2008). 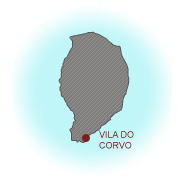 Corvo Island is located at 31º 05 west longitude and 39º 40’ north latitude. 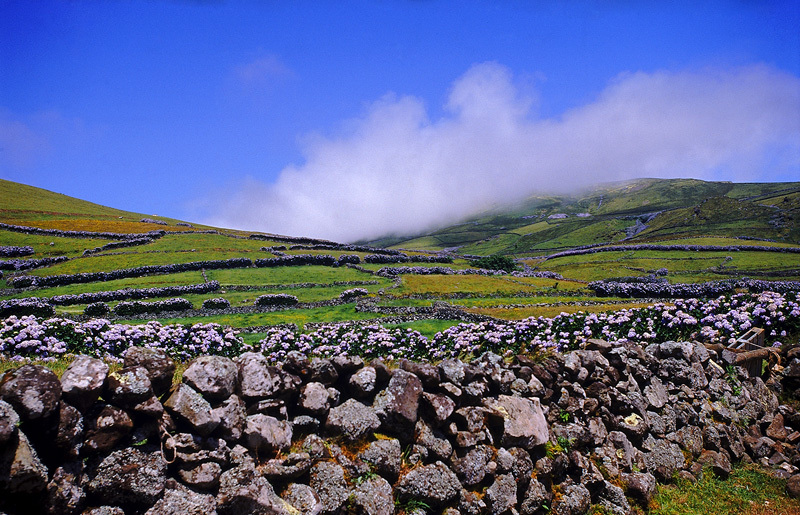 The 720 metres of the Estreitinho Hill represent the highest point of this island, which is dominated by the Caldeirão crater. This Monte Gordo crater has a perimeter of over 2 km. Green moss covers its rocky grey walls. 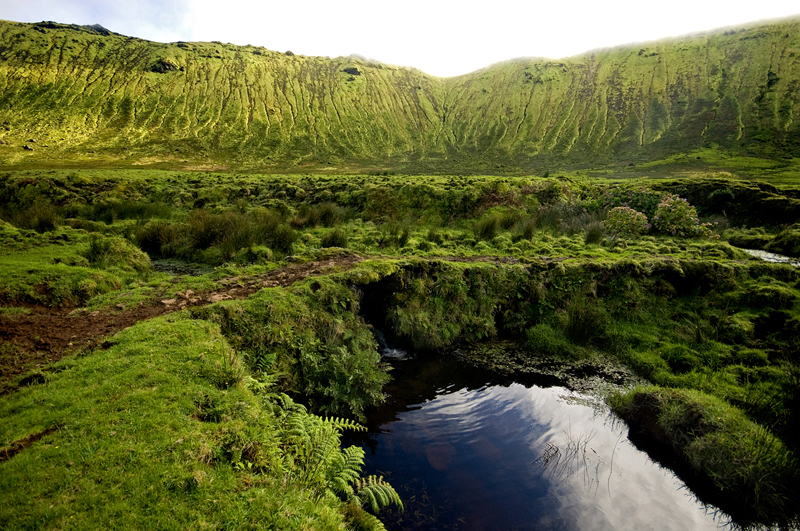 Two lakes appear on the surface of Caldeirão. 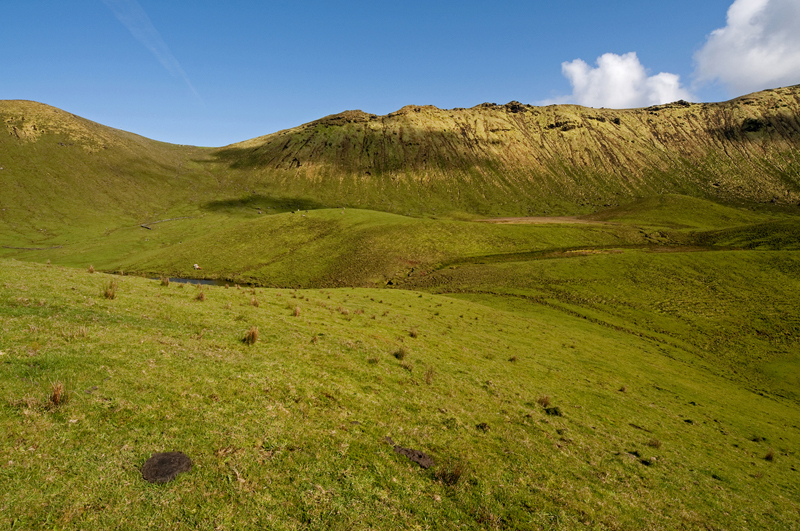 The calm surrounding landscape appropriately symbolises this remote place of Europe. 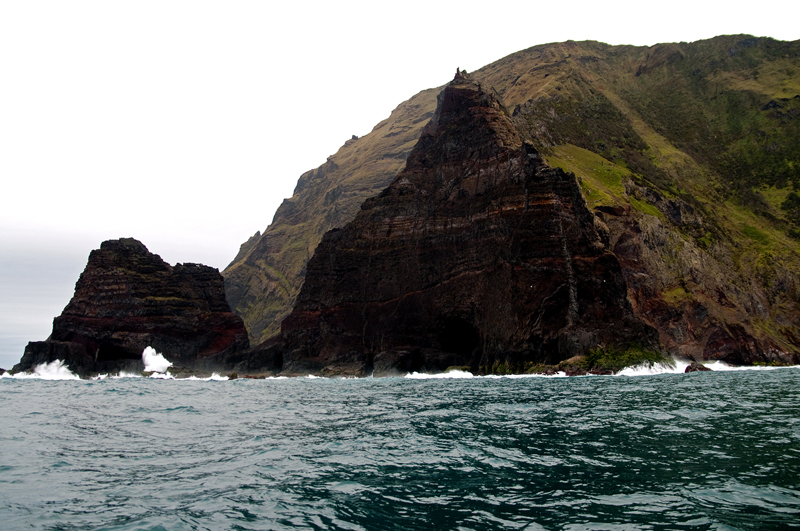 The northeast coast of Corvo Island is characterised by cliffs which rise for hundreds of metres to dive abruptly into the blue ocean. 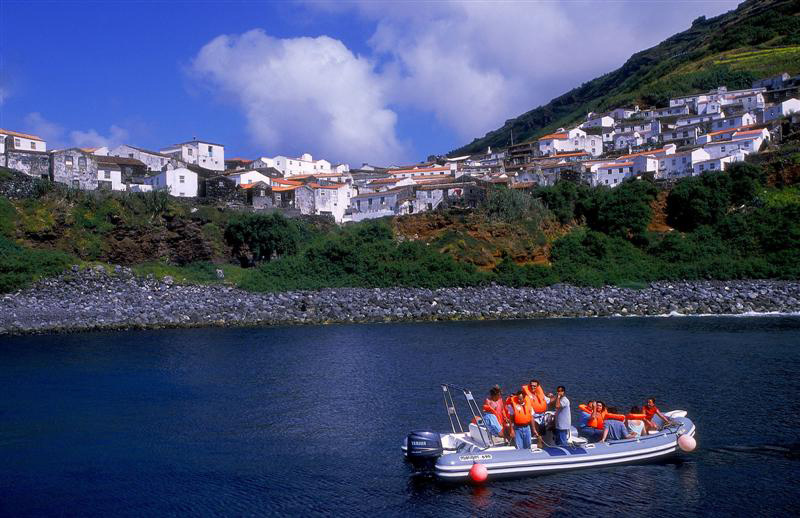 It is truly exciting to watch the island’s coast either from the viewpoints or from a boat in the middle of the ocean. Small bays, islets and reefs make the landscape of Corvo unique. 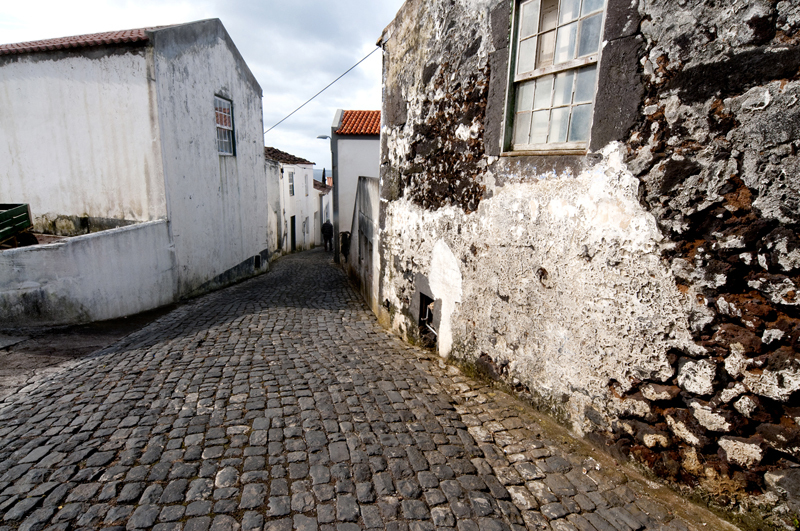 By Ponta Negra, near Vila do Corvo, small conic windmills adorn the seaside, speckling the horizon with white dots. There is a device that turns the wooden dome for the sail to follow the wind direction. 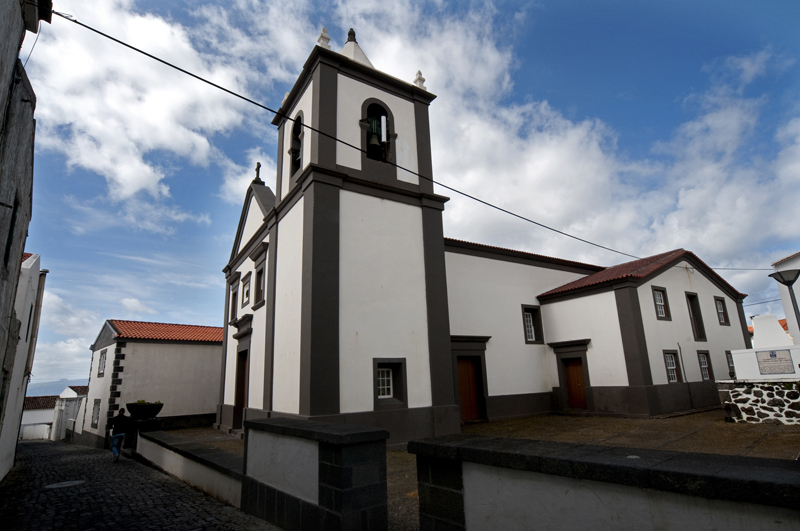 These are examples of the importance that wheat and corn production had and still has today on this island.